Guess I'll just show off my car with the first post in this forum . 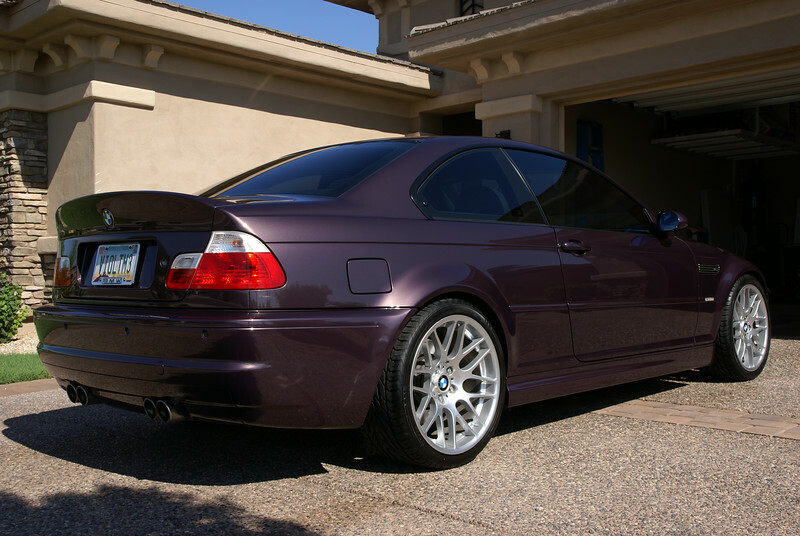 My first post to the E46 area and a couple of pics of my rides. Here's my 2005 330Ci ZHP. 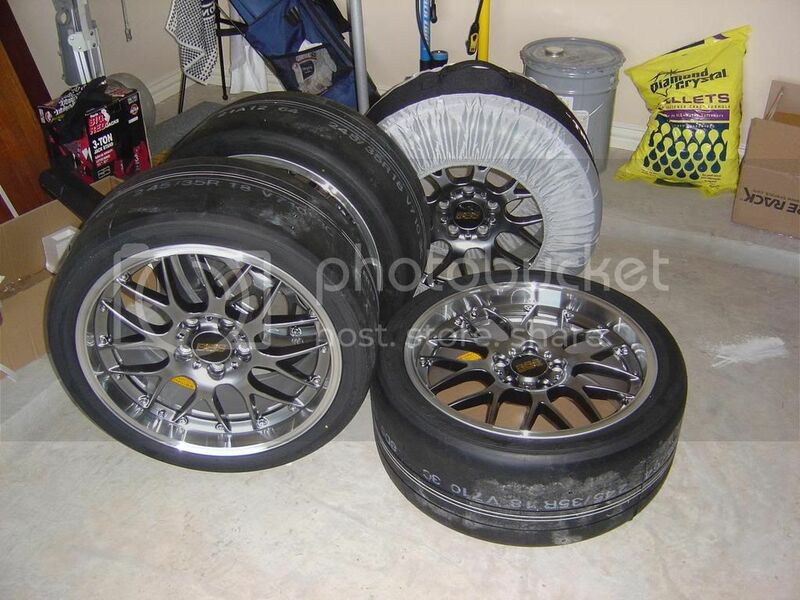 I got the Kumho's for BMWCCA and SCCA autocrossing...loads of fun! Very nice. I had a set of Kumho V710s on Kosei K1s for autocrossing until I became the local autocross coordinator - then I didn't have time to swap tires. Since I've gone back to street tires, I think I've become a better driver. The ZCP wheels and the slightly tucked stance via the Eibachs really give your car a good look. I will hopefully get better pics of the 'vert once the weather warms up some. Have you ZHP guys had to deal with the cam rattle? There are some good tidbits on this issue in the latest Bimmer mag. 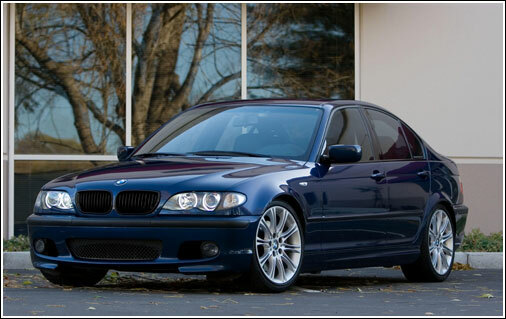 -- e36/e46 Market Update from Mike Miller. 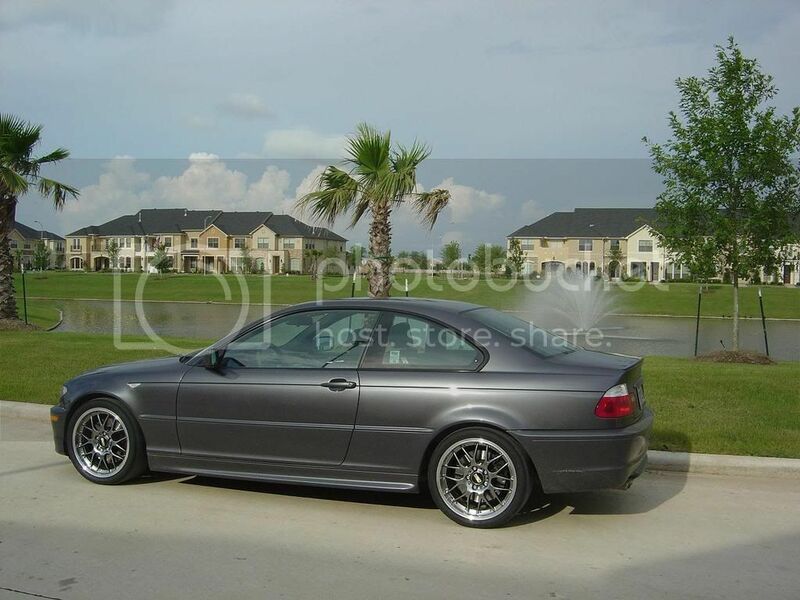 My 2003 M3 w/ 22k mi. I picked it up in NY just last week. Beautiful car...I have the same car in Jet Black, but the Mystic is BAD. Thanks! That's actually Jet Black also. The previous owner babied it beyond belief. A real beauty. I was drooling over all your pics on your page a few weeks ago. ...grill inserts. I bought a pair for my E46, too, but one look at how they are mounted made me worry about breaking something taking the old ones out and putting the new ones in. I pulled the tabs inward, popped the old ones out, popped the new ones in. I didn't put much thought into it . I am a new member, here is my contributions. My 2003 BMW 325i ZSP, 2005 Subaru WRX STi and my 2007 Raven Yamaha R1. I just got my first BMW about three weeks ago. 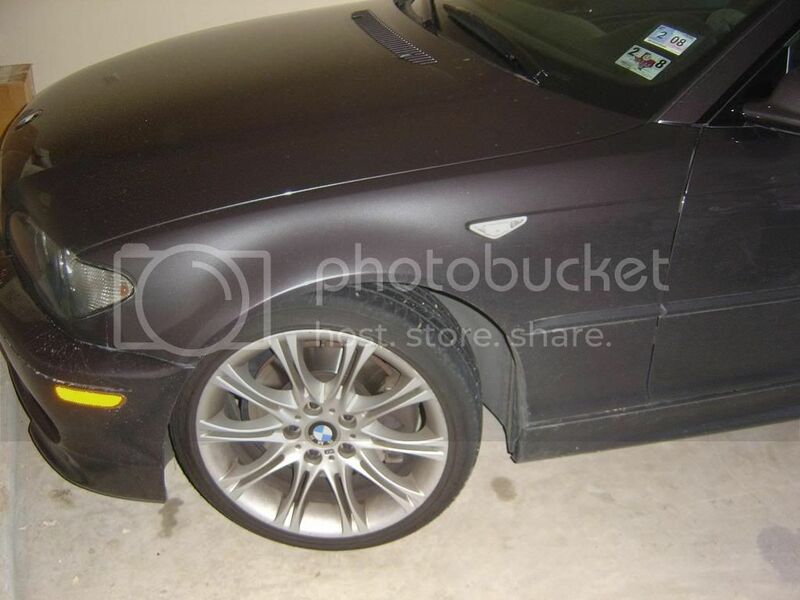 A 2004 E46 330i ZHP in jet black. As Kris already knows, I have been adding extras already including OEM Alarm, Custom V-1 Concealed Display, Intravee II with Alpine KCA-420i and TUA-T020XM units, and an OEM Euro First Aid Kit and storage box. I am having a blast! I just had a 3.46 differential installed in my car today. Awesome mod . 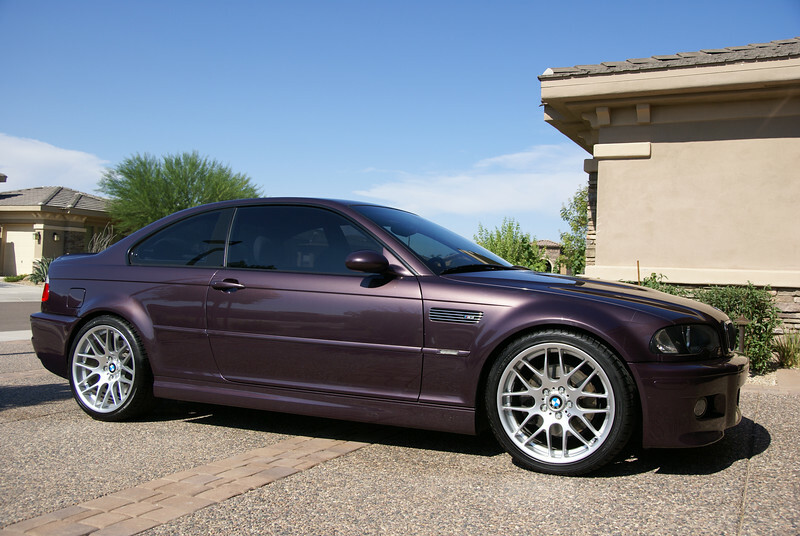 What advantage does the 3.46 differential have for the ZHP? Same advantage it'd have for any car . A 'shorter' final drive ratio means more torque at the rear wheels (since gears multiply torque) via a higher RPM for any given speed. It brings a redline-limited top speed from 194 to 172 (of course, the car is drag limited and wouldn't reach either of those speeds). It will decrease your gas mileage a bit.